On Sunday, November 11th, with a new venue and format, the Maine Soccer Coaches hoisted 130 seniors at the 24th edition of its’ Annual Senior Bowl. At Thomas College four games were played with the North Senior All-Stars against the South Senior All-Stars. The new format had Boys’ North AB versus South AB in the first game at 12 Noon. The second game was between the North CD All-Stars and South CD All-Stars with the two final games between the Girls’ North AB All-Stars against the South AB All-Stars and the Girls’ North CD All-Stars against the South CD All-Stars. In first the game of the day the South AB All-Stars handled the North AB All-Stars by a 3 – 1 score. Goal scorers for the South were Eric LaBrie of Yarmouth, Jack Mullen of Cheverus, and Tristan Wirth of Kennebunk. Keto Tchiputo of Portland and Michael Nason of Cheverus added assists. Sam Smith of Mt. Blue scored the North’s goals unassisted. Keepers for the South were Trevor Gray of Gorham and Brannon Gilbert of Gray New Gloucester, and for the North the goalie was Carter Lambert of Messolonskee. In the Boys’ CD game the North narrowly defeated the South by a 2 – 1 score. Camden Jandreau of Fort Kent scored both of the North’s goals with Grant Kidon of Penobscot Valley assisting on one of them. The goal scorer for the South was Michael Murphy of Sacopee Valley. Keeper for the North was Reece Pelletier of Fort Kent and Keegan Farnham of Valley tended the nets for the South. In the Girls AB game the South prevailed over the North in a hard fought well-played game 1 – 0. The single goal was scored by Prelzi Piscopo of Cape Elizabeth with Molly Murnane of Scarborough assisting. Keepers in this game were Libby Hewes of Brewer for the North and for the South tending duties were shared by Taylor Henry of Mountain Valley and Sydney Gillingham of Bonny Eagle. The final game of the day, which was the Girl’s CD game, end in a 2 – 2 tie. For the North squad the goal scorers were Camryn Rolfe of Penquis Valley and Jenna Dugal of Madawaska. Lauren Reed of Penobscot Valley and Hannah Damon of Dexter assisted on the North goals. Goal scorer for the South was Avery Lutzykowski of St Dominic with two tallies. Alice Cockerham of Mt. Abram and Caitlin Kendrick of Richmond assisted on the South’s goals. Keepers were Tessa Soloman for the South and Bess MacArthur for the North. Congratulations to the following players who have been selected by the coaches to a Regional All-Star Team. Any Senior on a team is invited to play in the 24th Maine Soccer Coaches Annual Senior Bowl. The four games will be played at Thomas College on Sunday, November 11th. Boy’s North AB v South AB and North CD v South CD will play at 12:00 on the two adjacent turf fields followed by Girl’s North AB v South AB and North CD v South CD at 2:30. Seniors should see their coach for details of the event. All Regional All-Stars will be invited to the 45th Maine Soccer Coaches All-Star Banquet at the Spectacular Events Center in Bangor at 1:00 pm on Sunday, December 2nd via email. November 11th – 24th Maine Soccer Coaches Annual Senior Bowl at Thomas College. Boy’s game is at 12:00 noon and the Girl’s game is at 2:30 p.m. Seniors will receive invitations for 45th Maine Soccer Coaches All-Star Banquet. Billed as “The World’s Largest Annual Gathering of Soccer Coaches,” each year the United Soccer Coaches Convention draws approximately 4,000 coaches from our 30,000-plus members, and more than 10,000 attendees over five days for live field demonstration and lecture sessions, networking socials, coaching diplomas and more! When it comes to soccer events in the United States, few can parallel United Soccer Coaches Convention. No other event matches the fun, excitement and learning opportunities this annual gathering offers to soccer coaches at all levels of the game. Whether it’s learning the basics of coaching goalkeepers or a high-level discussion of systems of play, every coach who attends will find something new to add to their soccer repertoire. And the coaching instruction is just the beginning – the four-day program is filled with unlimited opportunities to mix and mingle with some of the most prominent names on the soccer landscape. The United Soccer Coaches invites you to exhibit us at our 2018 Annual Convention. The exhibit portion of the Convention annually showcases more than 300 exhibitors covering 600,000 square feet, making it The Largest Soccer Trade Show in North America. There will be mandatory rules clinics held in soccer this fall. Each high school program (boys and girls) must have a coach attend one of these mandatory meetings. All coaches must sign in to be credited with attendance. *Each coach must complete the NFHS “Concussion in Sport – What You Need to Know” video that is available at the NFHS website (www.nfhslearn.com). 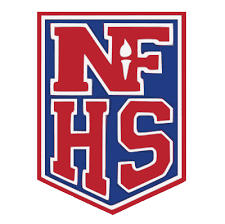 *Each coach must complete the NFHS “A Guide to Heat Acclimatization and Heat Illness Prevention” video that is available at the NFHS website (www.nfhslearn.com). *Each coach must complete the NFHS “Sudden Cardiac Arrest” video that is available at the NFHS website (www.nfhslearn.com).